Compuware World Headquarters at Campus Martius is a gleaming example of the Detroit's downtown revival. It depends on the deteriorating infrastructure of the city. Jeff Wattrick is a reporter for Deadline Detroit and works in the Compuware building. Standing out front, we talked about the water main break as we watched another construction crew at work. “There’s still a crumbling infrastructure underneath these streets and police cars patrolling this area that are not maybe in the best of shape. So, yeah, I mean, in some ways this is kind of a revival built on sand right here,” Wattrick said. And a water main break is more than an inconvenience. 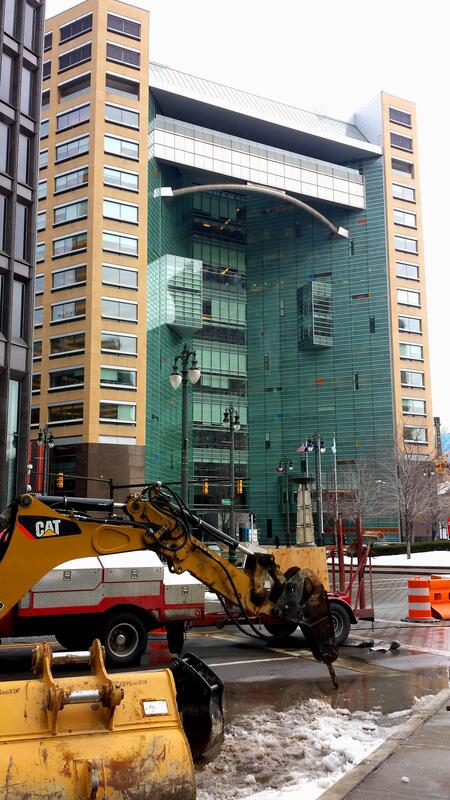 For the businesses on Woodward near Campus Martius, it meant losing money. Tommy Chang is the manager of Bangkok Crossing Thai Restaurant. He says he had to shut his doors for an entire day because of the water main break. 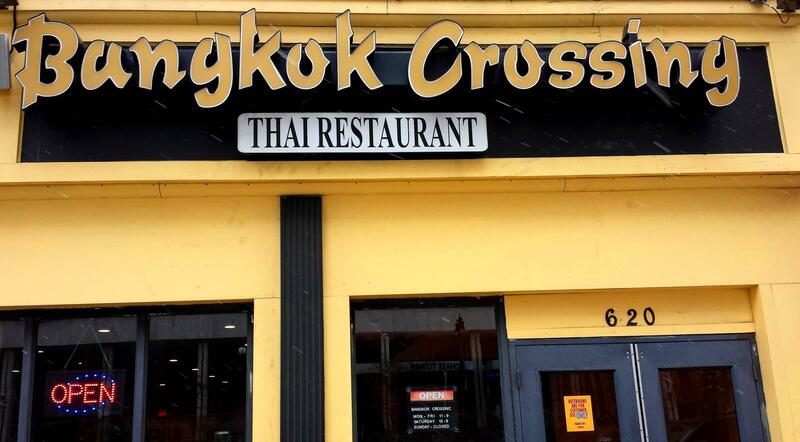 Bangkok Crossing was one of several businesses closed because of a broken water main. There are more than 90 water main breaks in Detroit as the city struggles with crumbling infrastructure. I asked him if the break says much about the city's need to invest more in its old infrastructure. "Yes, it does," said Chang. "Because the city is kind of old and a lot of things are kind of breaking down, need repairs." 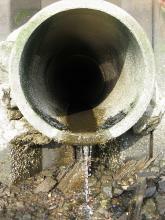 Now, every city has to repair water main breaks. It happens occasionally, but in Detroit it’s an epidemic. “We have 90 water main breaks that are running in the city right now that we’re trying to fix,” said Bill Nowling. He is spokesperson for the state-appointed Detroit Emergency Manager, Kevyn Orr. Nowling says there are lots of examples of neglected infrastructure. "We have stations that are 80 years old that can't even fit the fire trucks." And addressing those issues means investing in the city in a way that’s not been done on a regular basis for quite a while. The bankruptcy plan calls for $125 million to $150 million a year in fixing up the miles of aging water pipes, replacing old firehouses, and getting new squad cars for the police. 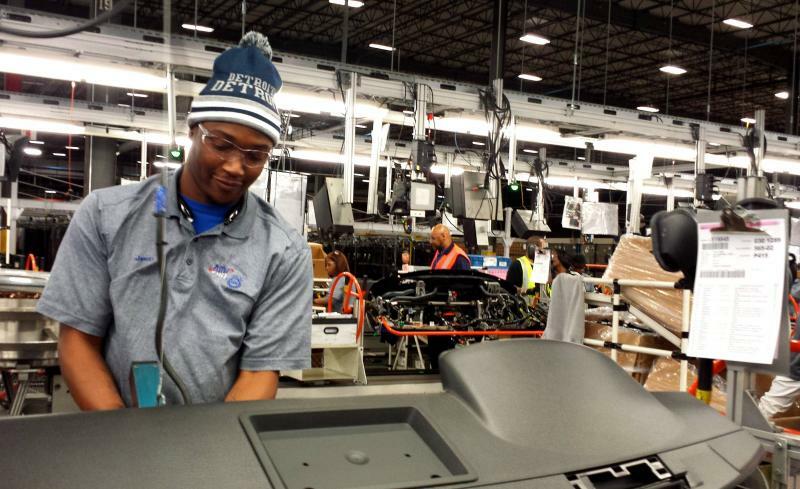 Detroit will have to find the money on its own. "Because what we can’t do is go back to the market, go back to the municipal market, who we’ve all asked to take 10 or 15 cents on the dollar on their debt that they gave to the city, you know, that they loaned to the city and ask them to do it again," said Nowling. 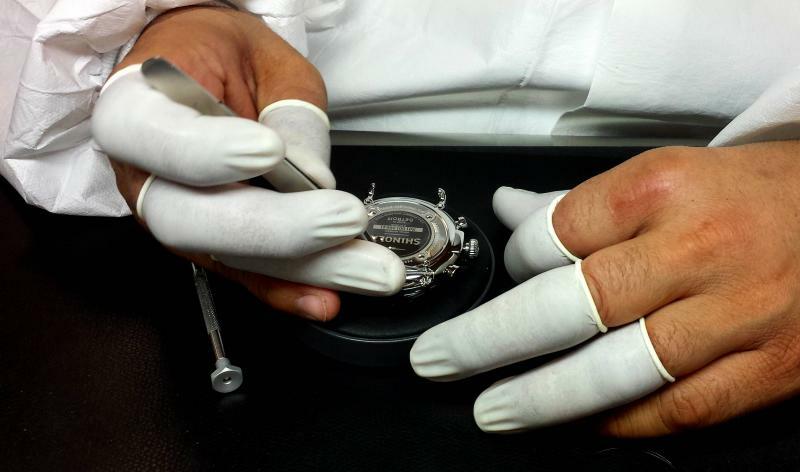 "They're just not going to do it. So, we have to live within our means and ‘live within our means’ means we have to ratchet that budget back." Besides ratcheting that budget back, Detroit needs to find ways to capture the money it’s already owed. Nowling says the computer systems are old and don’t play together nice, so they’re having a heck of a time figuring out how much more tax money is owed to the City of Detroit. "We think it might be $100 million, maybe a little more, of outstanding ... that's available and we could probably go out and collect between income and also property tax." Nowling said that amounts to about eight or nine percent of the city's entire budget. The city is not likely to find more money anywhere else. Legislators in Lansing are in no mood to give money directly to Detroit. 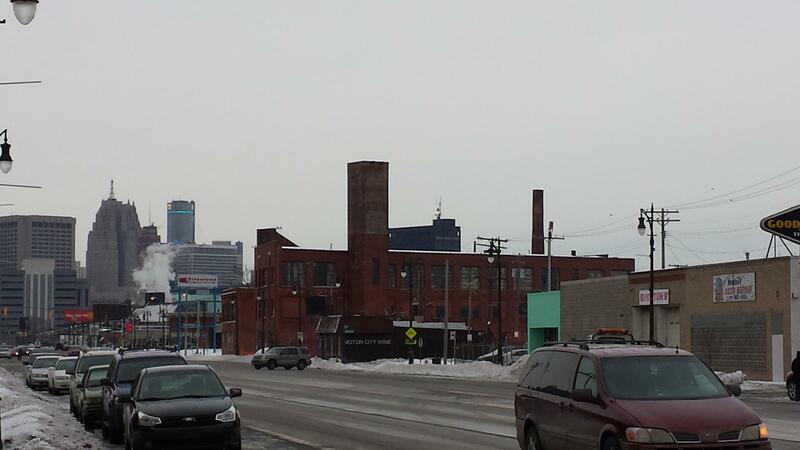 A view of skyline from the Corktown neighborhood. Jeff Wattrick at Deadline Detroit says the legislators should consider this: Macomb, Wayne and Oakland counties are dependent on Detroit being healthy, and so is the rest of the state. To put that into perspective, consider that 53% of the state’s economic activity happens within 20 miles of downtown Detroit, where just plugging up the leaks is a struggle. 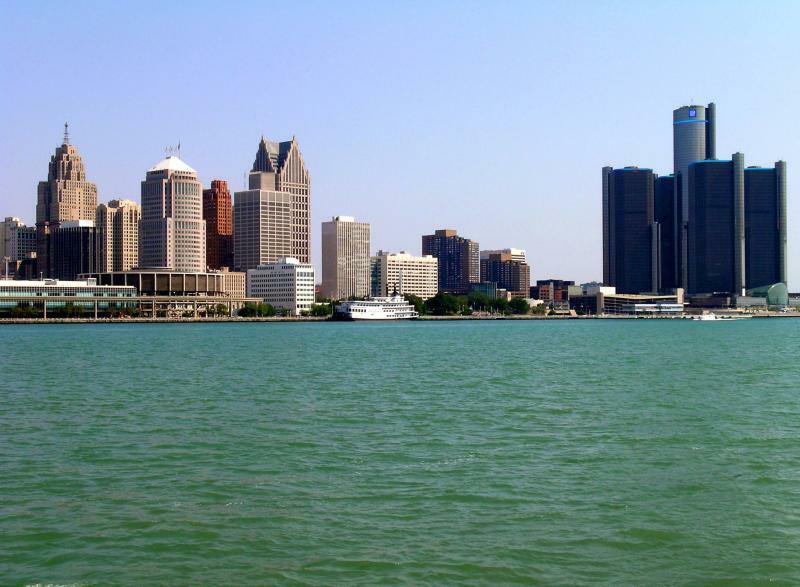 DETROIT – The office of Detroit's state-appointed emergency manager Kevyn Orr says the blueprint for the city's restructuring through and after bankruptcy is expected to be filed Friday in federal court. Bankruptcy Judge Steven Rhodes had set a March 1 deadline for the long-awaited plan of adjustment. The plan will spell out how individual creditors will be treated as Orr reduces the city's $18 billion debt. Spokesman Bill Nowling says Orr's office plans to file the plan with the court Friday. Orr had hoped to have the plan ready before January but was delayed by ongoing negotiations. screengrab of Loveland Technologies' WDWOT map. The blighted buildings in Detroit have been a major stumbling block for decades. How do you start revitalizing a city when so much of it is crumbling? Current estimates put the number of abandoned buildings at somewhere between 78,000 and 90,000, but that's a guess. Nobody really knows the true number.